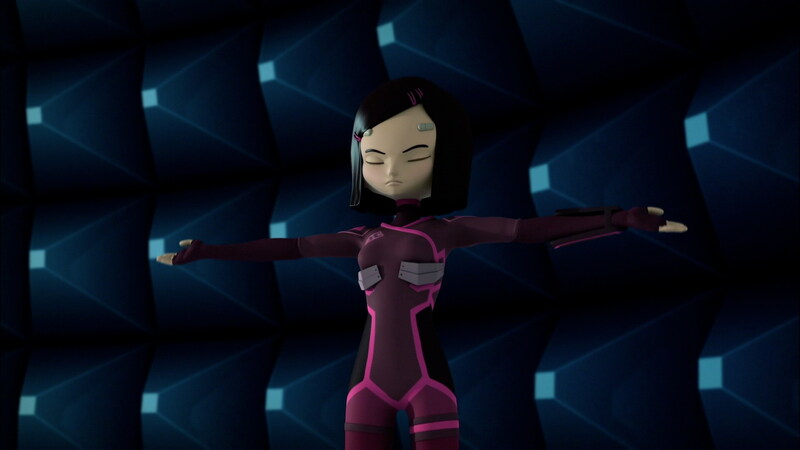 To localise Ikonov's Supercomputer and destroy it, Jeremy has created a program, a sort of spy bug, which the Lyoko Warriors need to introduce into the core of the Cortex. 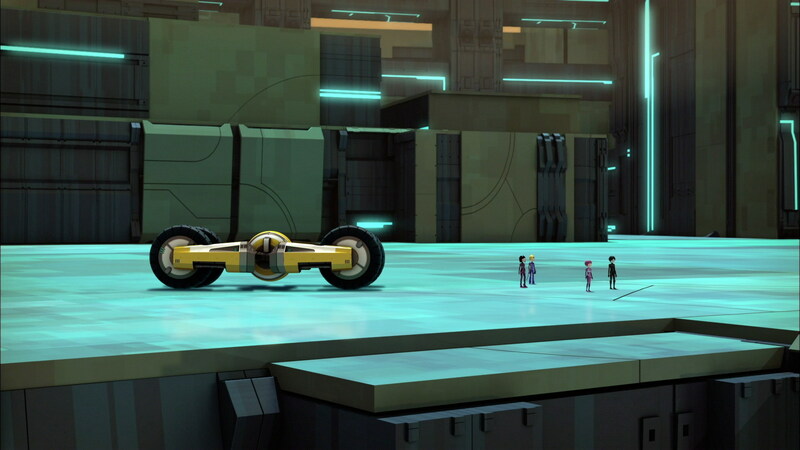 The plan goes ahead without much trouble but while they're heading back to Lyoko, they're followed unknowingly by one of Ikonov's Ninjas, hanging on to the back of the Skid. And it's only in Sector Five that they realise it's there. 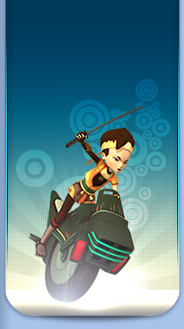 A terrible fight begins to stop the Ninja from accessing the Core of Lyoko and all the data it holds. Day breaks at Kadic. Yumi and a classmate distribute pamphlets at the school gate. Ulrich was supposed to help them but obviously, he forgot. Yumi is annoyed, especially because her friend decided to point out his absence. The group meets in the playground. Odd reads an extract from one of Yumi’s essays to the others, an essay that earned her a great mark. It’s about a close friend whose selfishness hurts her. Ulrich feels immediately concerned. While the group goes to the factory, he catches Yumi in the secret passage. They have a heated exchange. Annoyed and uncomfortable, Ulrich goes back to the school. Arriving at the factory and disturbed by Ulrich’s absence, the heroes virtualise anyway and head to the Cortex. They reach the Core without difficulty. 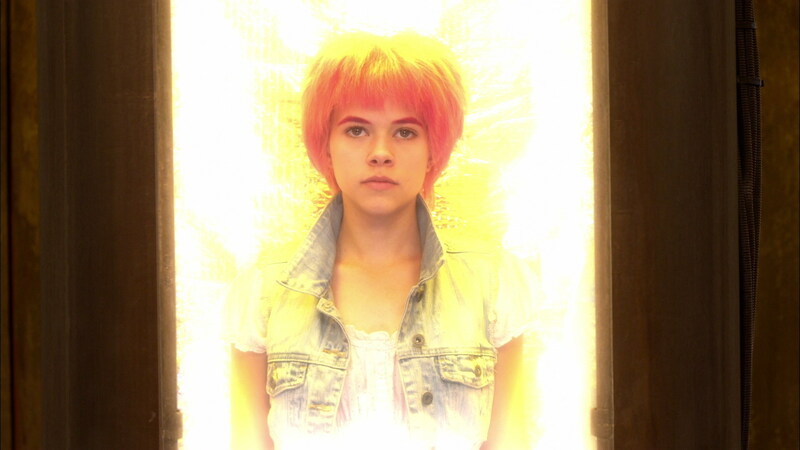 Once inside, Aelita inserts her card to collect data. The Ninjas then arise. Against all odds, Yumi allows herself to be devirtualised. Leaving the scanner, she runs to Kadic to explain things to Ulrich. Despite this unpleasant initiative, the combat against the Ninjas goes well. Aelita, Odd and William get rid of them all with ease. 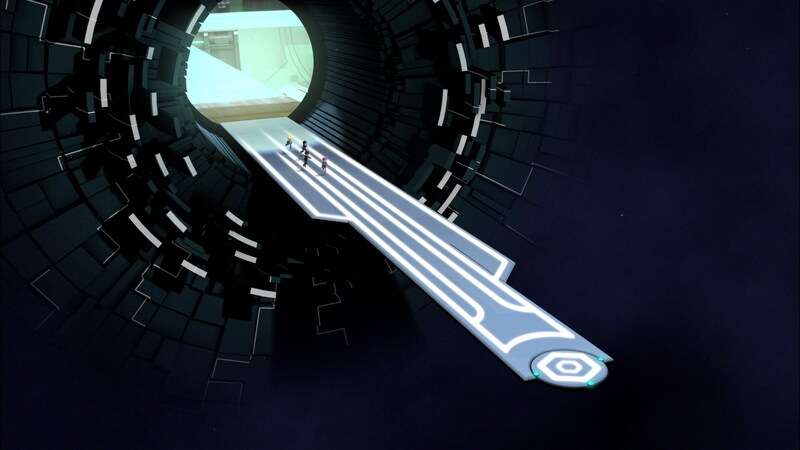 Aelita gets the card back and the heroes leave the Core Chamber…without realising that they’re being followed! A particular Ninja starts pursuing them: surrounded by a green halo, it becomes invisible to the heroes and undetectable by Jeremy. 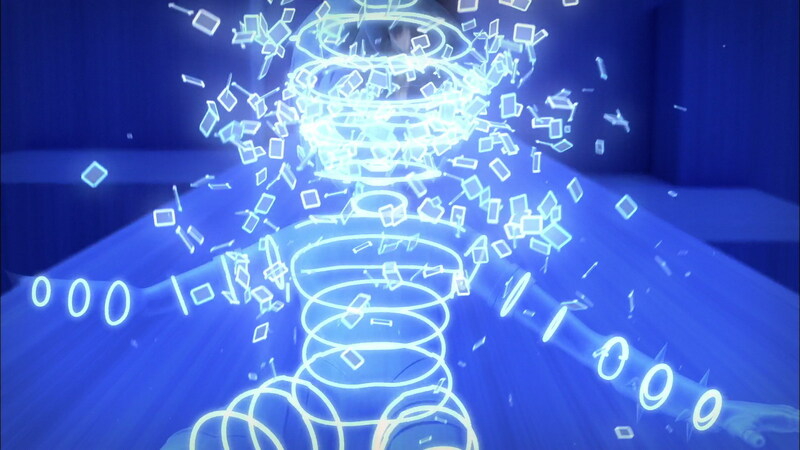 The virtual being engages in a high-speed chase with the Megapod. Still without being noticed, it climbs onto the Skidbladnir and hangs on, even through the depths of the Digital Sea. At Kadic, Yumi and Ulrich have a conversation in which the Japanese girl tells him about his forgotten task that morning. Ulrich realises how badly he behaved and apologises. The lovers reconcile. Jeremy uses the time while the heroes are traversing the Digital Sea to decrypt the data protected by Tyron. When he thinks he’s found the password, a laughing clown appears on the screen. 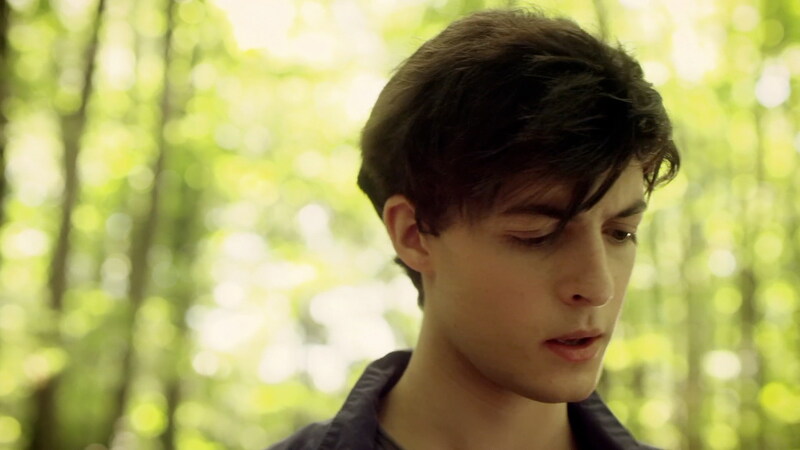 Jeremy realises that he hasn’t found anything useful and that Tyron has trapped him. The Skid enters its garage and Jeremy detects the Ninja’s presence. The Ninja doesn’t waste time: it leaps from the submarine and devirtualises Aelita. 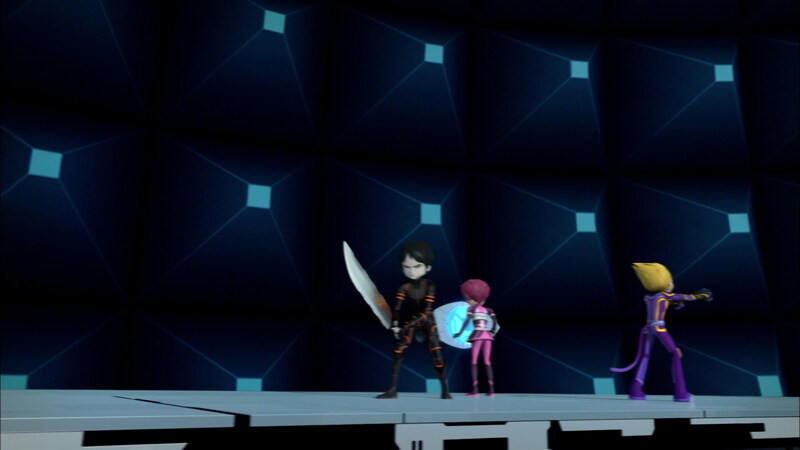 A fight begins between it and the remaining Lyoko Warriors. The overwhelming superiority of the Ninja proves that victory for the heroes in the Core of the Cortex was just a simulation by Tyron and his Ninjas! Odd is quickly defeated and William is knocked to the ground. What Ulrich didn’t see however, is a transmitter the Ninja stuck on the bottom of the platform they fought on, just before disappearing… While the heroes celebrate in the lab, the small, spherical device flashes a green light in Sector Five. - First time Odd and Ulrich beat Ninjas. - First use of Triplicate in Evolution. - The supposed date of Hopper and Tyron's argument was the 25th of June 2003. However, Franz virtualised himself and Aelita on June 6 1994, so he couldn't have been on Earth in 2003. 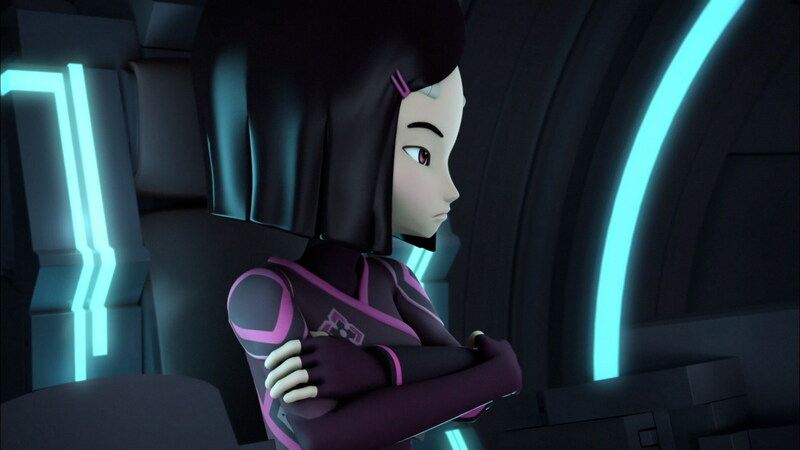 - Yumi is present in the Cortex during re-embarkation onto the Skid. However, she was devirtualised earlier. - Ninjas can survive in the Digital Sea. - First time a Ninja uses its power of invisibility. - First time a Ninja goes to Lyoko. 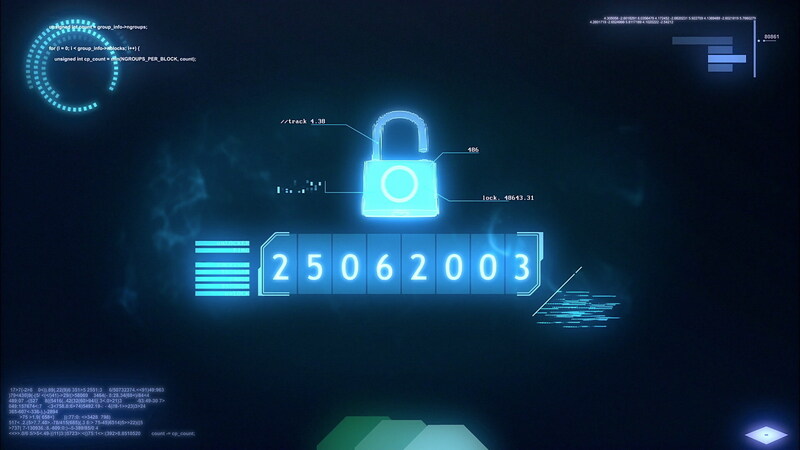 - The code Jeremy uses to crack the data from the Cortex in episode 2 “Cortex”, 25062003, is the same code he used to open the portal to the Cortex from the Digital Sea. It's the date of Tyron's disappearance. - First episode of Evolution ending on a cliffhanger of sorts: the presence of the small object placed in Sector Five by the Ninja, which will have ramifications in a later episode. It's also the first episode of the series that has a cliffhanger outside of a season finale. William: 18! She got an 18 on her French homework and the teacher even read her news in front of the entire class. Odd: 18? But I thought marks in French ended at 11… Wait, I need to see this masterpiece. Yumi: No, it's nothing exceptional. It's…it's just an essay. Ulrich: Hey. The guy you wrote about in your essay, it's me, isn't it? Immature, stubborn, doesn't pay attention to others. That's how you see me. Yumi: You act like it was an entire film, it was just an essay, that's all. Ulrich: Yeah, that's it. Yeah, that's it. Take me for a moron. When I think that it was read in front of everybody. Yumi: Ok listen, Ulrich, we'll talk later if you want, but now we really have to get to the lab. Ulrich: I'm not coming. I need to be alone. You see Yumi, at least I'm quite honest with you. I'd prefer it if we stop seeing each other, it'll be better that way. Odd: Ok Yumi, what's wrong? Yumi: You should ask your buddy that. Odd: No, nothing. I have the impression that we're going to have a lot of fun today. Odd: Ulrich not coming, Yumi making that face… Jeremy, for the next mission, remind me to take my extra fiestaaa! Odd: Alright Yumi, you need to clean up this mess with Ulrich, ok? Because it's beginning to tear the group apart and downright darken the atmosphere. Yumi: Thanks a lot, Odd! I really thank you for your support. Odd: Huh, what? What did I say? William: We're much too strong for them. Jeremy: Yes, but it's strange. Normally they're tougher than that. William: Hey, you could at least congratulate us. Odd: That's true. They're not the weaker ones, it's just that we're the stronger ones. Yumi: I can't believe it…that confirms what I thought: we can't count on Ulrich! 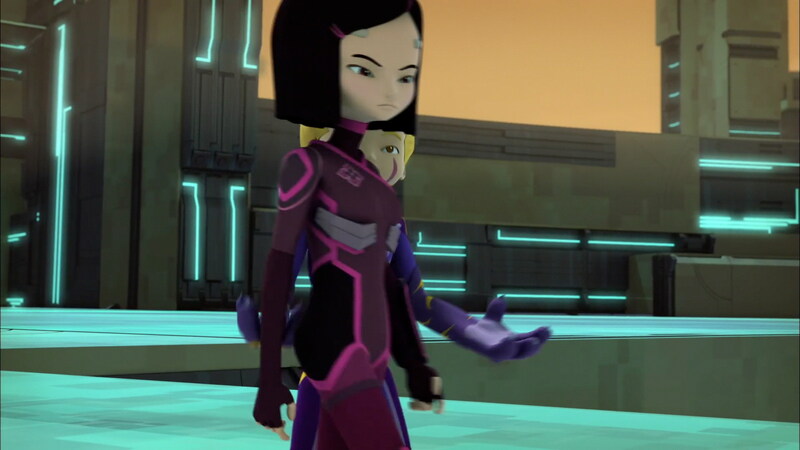 Aelita: Two Lyoko Warriors on bad terms, and the whole group is suffering… We need to be careful. Yumi: Thinking about it again, maybe I was a little strong in my essay. Aelita: We need to fix up this situation quickly, if not Tyron will take advantage of our moment of weakness. Yumi: They don't understand… I think they realise how much we rely on one another. William: That went too far! Ulrich's selfishness is really putting us in danger! Odd: We'll try to forget all this trouble. The king of driving will bring everyone back together! Odd: What, I don't have the right to go home and watch my favourite TV series? Ulrich: It's thanks to Yumi I was able to be strong enough to overcome that Ninja… I'm lucky to have her.